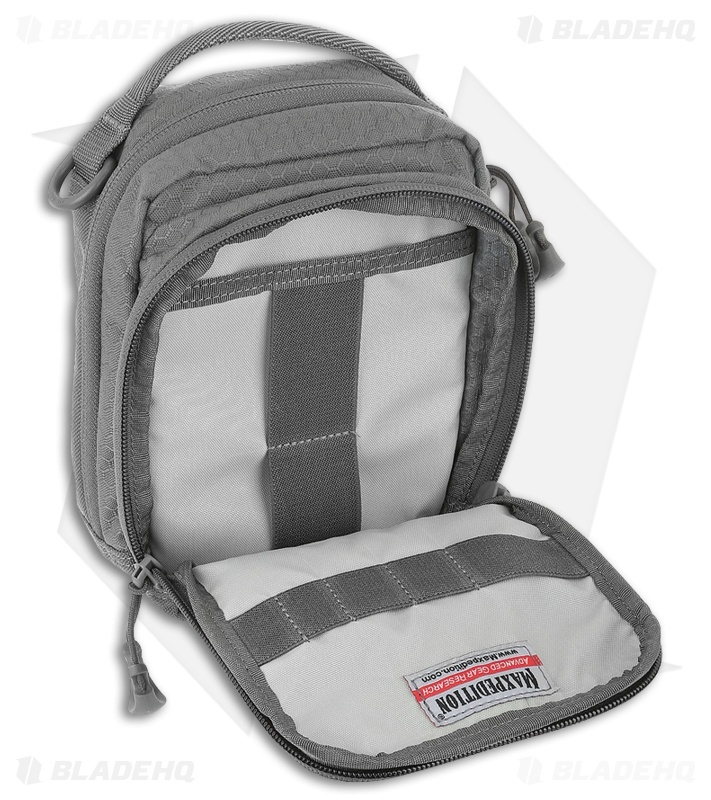 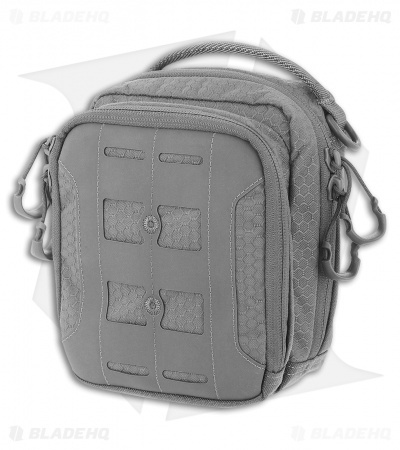 The gray AUP Accordion Utility Pouch is a small pouch with accordion style dividers. 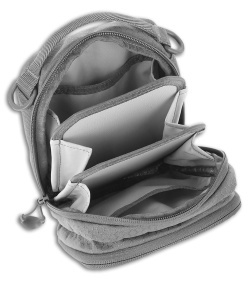 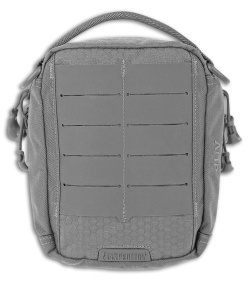 It has a frontal zippered compartment with elastic organization and a top carry handle made from comfortable Shapeshift™ webbing. It comes with two (2) TacTie® PJC5™ Polymer Joining Clips for modular attachment to any AGR or Legacy pack.